This etched stone sits in one of the most beautiful places in East Jerusalem. 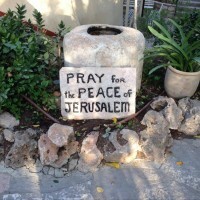 The Garden Tomb site is just off a busy street in East Jerusalem where the hustle of the street traffic gives way to a lovely serene garden created for worship and reflection. Maintained by a Christian organization, the authenticity of the site as the tomb where Jesus was buried is up for debate but many visit the garden simply because of its beauty and the opportunity it offers for quiet reflection. East Jerusalem is one of my favorite places in the world. It is home to my favorite shawarma stand and a little hookah lounge where you can sit for hours, listening to local musicians and eating hummus.There is a bookshop there where I have passed afternoons sipping strong coffee and trying to choose which books to buy. On Friday evening, everyone is welcome at a Bible study at the Nazarene Church on Nablus Road. And on Saturday, when West Jerusalem is closed down, East Jerusalem continues to buzz and the “Arab buses” still run to Bethlehem and back. I have traveled alone to East Jerusalem more than once and always felt safe and comfortable. I have friends in shops and restaurants who warmly greet me whenever I return. But now I watch my favorite streets on the evening news, clouded by tear gas and marred by concrete barriers. I worry about my friends. Selfishly, I wonder if I will be able to return soon. I was last there five months ago. I am supposed to return in a few weeks. As I watch the news and the escalating violence, I wonder if I will ever be able to return again. Many people claim Jerusalem as their home. It has been a city involved in a tug of war for centuries. Until a few years ago, it was just a famous city to me, full of turmoil. But then I visited and fell in love with the people and the atmosphere and the swirl of cultures. Although I knew there was political tension, I mostly experienced kindness and extravagant hospitality. A visit to a store easily became an hour long discussion over tea and sweets. A simple purchase was often accompanied by a gift from the shop owner. 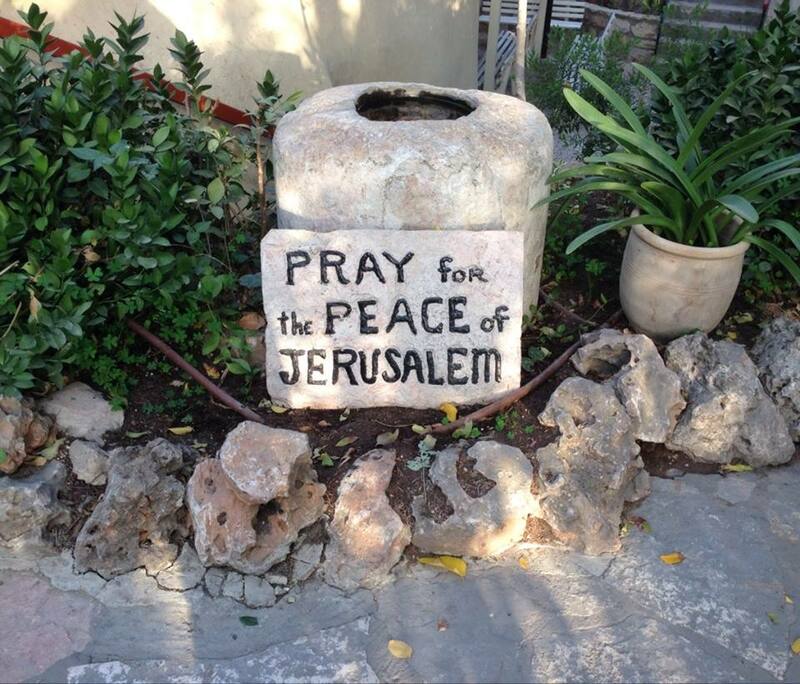 So now I watch the images of violence and all I can do is pray for the peace of Jerusalem. While news reports use words like turmoil and unrest, I think of friendships and kindness and hospitality. I pray for the protection of the many peaceful people I know who happen to live in a place that has become heart breakingly violent.